Elliot, What Credit Card Should I Get? 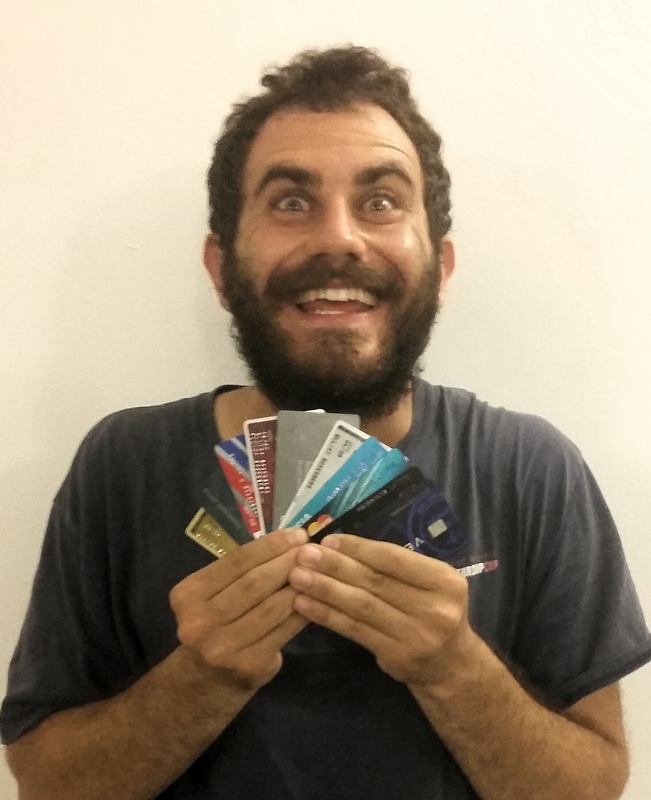 In the past 18 months, I’ve been approved for 24 new credit cards. When I tell people that, they’re often shocked, stuttering how they didn’t know such a feat was even possible or why anyone would ever want to do that. The reactions I provoke from my nonchalant statement are understandable considering we’re taught from early on that credit cards do to your finances what smoking does to your health. So, for most people who haven’t questioned such common sense, it can be hard to explain that, after hundreds of hours of research and lots of practice, I’ve learned “travel hacking” to earn free flights, hotels, and cash. As such, I’ve been able to stretch my savings for maximizing my non-stop traveling throughout Asia since January. Better yet, I’m also unemployed and haven’t made much money in over a year. It all sounds reckless and too good to be true, but I’ve explained before how doing this carefully actually improves your long-term credit score. Other than being American or living in the US (where banks’ lucrative promotions make this possible) and having average or better credit, there aren’t any prerequisites to travel hacking. Of course, the practice can be disastrous for anyone who’s irresponsible and disorganized, which is why your parents tried to scare you about credit cards. The answer is there’s no one credit card everyone should get. Rather, you should make your decision based on your travel goals, spending habits, and willingness to learn how to gain the most value from your credit card. Furthermore, it helps to determine from the outset if you want just one or two cards that you’ll hold onto long-term or if you might take travel hacking more seriously and eventually apply for far more cards. How much do I normally spend per month and on what types of expenses (e.g., rent, groceries, gas, dining, travel)? To and from where do I want to travel, where will I sleep (e.g., luxury hotels, Airbnb, hostels, guesthouses), and what will I do there (e.g., lounging on a beach, visiting museums and sightseeing, eating at fancy restaurants)? When will I travel, and are my travel dates and times flexible? What other card benefits do I want (e.g., airport lounge access, travel insurance, purchase protection)? Still, whether you’re looking for a single credit card to keep long-term for all your spending or you’re interested in trying a few credit cards to reap multiple sign-up bonus offers, in most cases I end up recommending only a few different cards to apply for first. The offer: Earn 50,000 Ultimate Rewards points (plus 5,000 more points for adding an authorized user who makes a purchase in the first three months of card membership) after spending $4,000 in the first three months of opening the card. Earn 2 points per dollar spent on travel and dining and 1 point per dollar on everything else. The $95 annual fee is waived in the first year. The sign-up bonus is worth at least $550 in statement credits but can easily be worth over $1,000 if redeemed on Chase’s airline and hotel transfer partners, such as United Airlines and Hyatt hotels. The current offer is the best sign-up bonus ever publicly available for the card, by a difference of 10,000 points. The Sapphire Preferred is known to have the best included travel insurance of any card available. Maximizing value from transferring Chase Ultimate Rewards points to travel partners can require patience to learn about partners’ rewards programs and flexibility to book award flights and hotels when there might not be the desired award availability. Unless you spend a lot of your money on travel and dining, the Sapphire Preferred’s regular earning ratio is weaker than its competitors. A new rule being enforced by Chase seems to deny any applicant for this card who’s opened five or more new credit cards (from any bank) in the past 24 months. The offer: Earn 40,000 Venture miles after spending $3,000 in the first three months of card membership. Earn 2 miles per dollar spent on all purchases. The $59 annual fee is waived in the first year. The sign-up bonus is worth $400 toward any travel expense. There is no minimum redemption amount for award redemption. For now it seems you can repeatedly redeem your miles against the same one travel purchase with no limit on the number of times you can do so. Venture miles can be redeemed for travel expenses that posted as far as 120 days prior to the redemption date. When you apply, Capital One typically does “hard credit pulls” on all three major credit bureaus, Experian, Equifax, and TransUnion, whereas most other credit card companies only use one bureau. Capital One seems to approve individuals for credit cards only if they already have a Capital One bank account. If you want to sign up for a Capital One 360 bank account, you can earn yourself $25 bonus (plus $20 referral for me) by using my link. Fortunately, applying for and opening a Capital One 360 bank account doesn’t affect your credit score. The offer: Earn 40,000 Arrival miles after spending $3,000 in the first three months of card membership. Earn 2 miles per dollar spent on all purchases. The $89 annual fee is waived in the first year. The sign-up bonus is worth $400 to be redeemed toward most travel expenses. The Arrival Plus has one of the best all-around earning ratios of any card, effectively giving you 2% cash back on all purchases to redeem in the form of statement credits toward travel. This makes it an excellent choice to be your only credit card. Barclay instantly issues cardholders a 5% rebate on all redeemed Arrival miles. Arrival miles can be redeemed for travel expenses that posted as far as 120 days prior to the redemption date. The minimum award redemption for travel expenses will soon be 10,000 miles, meaning you can only redeem for expenses of $100 or more. Certain travel categories such as museums and sightseeing are, or will soon be, ineligible for travel award redemption. I hope this gives an overview of the major cards most beginning travel hackers should consider. I’m happy to help friends with this hobby if you have any questions! Check our American Express gold business card mileage promo. I got 50,000 miles that are transferable. Good article and post! Def a lot of ways to travel hack if you’ve got the time and patience.